Creating a stylish look that will impress everyone is easy when you add chrome wheels to your vehicle. Because of the popularity of chrome wheels, there are a lot of options available on the market. Not every option is an excellent fit for your vehicle, however. At Wheel Creations PVD we have premium chrome wheels for Nissans and other vehicles that always look great. Our rims are a durable option that can stand up to a lot more than your standard chrome. PVD Chrome is tougher so that your shine will last for a long time. 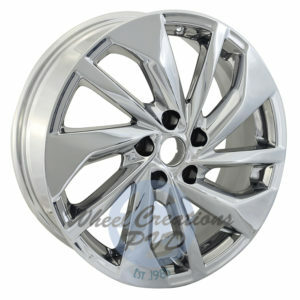 If you want premium chrome wheels for your vehicle, there’s no better choice than exchanging with Wheel Creations PVD. We’ve developed a unique Physical Vapor Deposition chrome process that gives a stunning appearance to rims. Utilizing a specialized powder coated primer and vacuum chamber, our process for creating chrome rims for Nissans and other vehicles involves the chrome being electrostatically sputtered onto rims. The entire process is 100% environmentally safe and creates a sleek look that customers love. As an added bonus, they are more resistant to chipping and scraping. Our popular process can be used to create chrome rims for all types of vehicles and styles of wheels. In our inventory, you’ll find a range of ready to go OEM chrome wheels that can be swapped out for your stock rims. Alternatively, you can send in your stock rims to us, and we’ll apply a bright chrome finish to them. Whichever way you go, you’ll receive wheels that have a lasting finish that will look great on your Nissan. These are some of the PVD chrome wheels we currently have in stock. If you don’t see your Nissan’s model listed below, we can still work with you to get the perfect PVD chrome wheel for your Nissan. Whether you have vintage or OEM wheels that you want to chrome our PVD process is a great solution. You’ll be able to get reliable chrome wheels for your Nissan that will make an impression. Thanks to our manufacturing process you’ll get rims that don’t just look great but are tougher and more durable than other chrome plated options on the market. Our rims can stand up to moderate curb rash, road chemicals, and severe weather conditions without the peeling or corroding found with another traditional plating. So no matter which style of wheel or color of rims you get, they will be an investment you can enjoy on your vehicle for a long time. If you are looking to outfit your Nissan with chrome rims, there is no better choice than the rims offered by Wheel Creation. Our chrome rims are stylish looking and sturdy, but also affordable enough to fit any budget. Give your vehicle a fresh new look with our chrome options today. Ordering your Nissan’s chrome wheels is easy – reach out to our professional sales team. 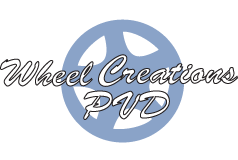 They are available by phone at (562) 381-2670, or you can contact them via email at sales@wheelcreationspvd.com. Learn more about what makes our chrome wheels the ultimate choice and pick yours out without delay.